There's nothing forced about the gameplay here. 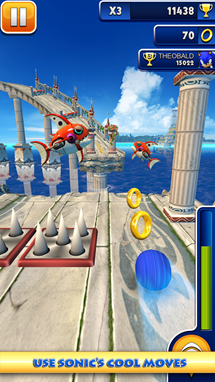 Sonic's focus has always been running forward as quickly as possible, jumping over obstacles that get in his way. 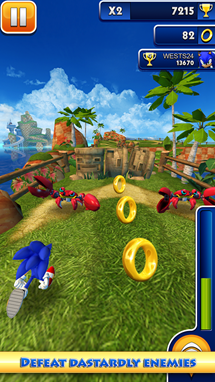 This game has that, complete with signature moves including double-jumping, speed dashing, and sliding. Our furry protagonist will barrel through worlds that should look familiar to any Sonic fan of the past decade, and he will even face up against various bosses. 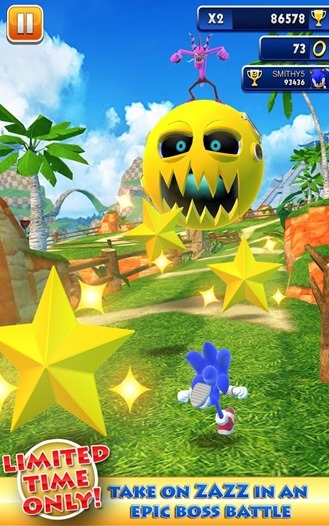 The game is more complex than most endless runners but simpler than a full-blown Sonic title, finding that nice middle ground that is ideal for gaming on the go. 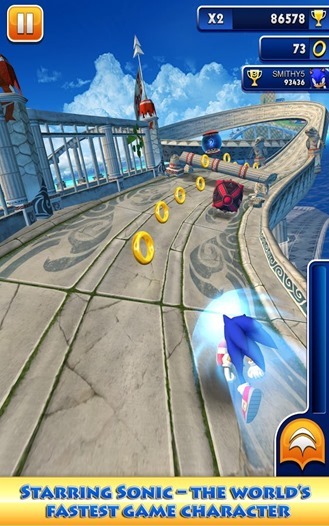 Sonic Dash is available for free, and while there are in-app purchases present, they're not mandatory. 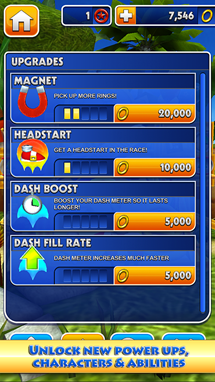 Players can buy additional characters, power-ups, and more using the rings they collect throughout each stage, but anyone who would rather not make the time commitment can opt to buy the rings instead. This game was well-received on iOS, and for good reason, so give it a go by pouncing on the widget below.